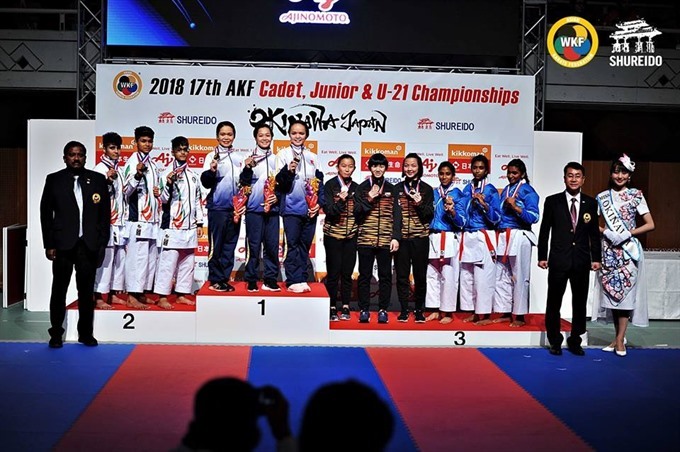 HÀ NỘI — Việt Nam won one gold, four silver and five bronze medals at the Asian Karate Federation Cadet, Junior and U21 Championship, which concluded in Japan on Sunday. The gold went to the junior female team, which beat India 5-0 in the kata (performance) event. Also in the junior category, Nguyễn Thị Phương won a silver in the female kata individual class and Hồ Thị Hàfinished third in the female U59kg kumite (combat) pool. In the U21 discipline, Trần Thị Khánh Vy won a silver in the female kata, while Khuất Huy Thắng grabbed a bronze in the male kata. Nguyễn Thị Ngoan and Đỗ Thành Nhân came third in the female U61kg and male U84kg kumite classes, respectively. 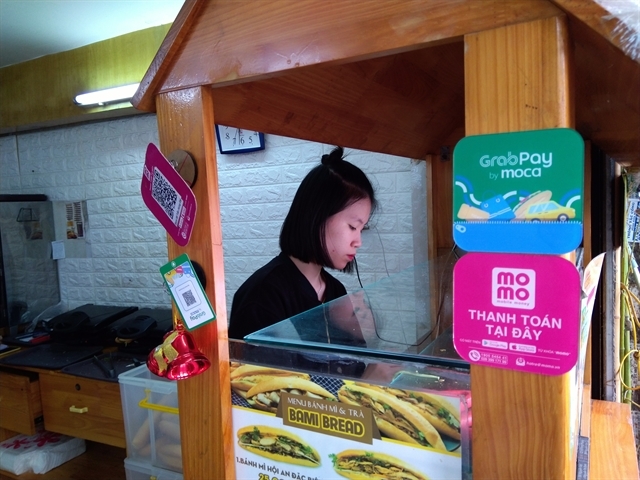 The Vietnamese cadet athletes also secured medals. Phạm Thị Hoa won a silver after losing 0-1 to Japanese Nakagawa Marin in the girls’ U54kg final. Hoàng Thị Mỹ Tâm came second in the girls over-54kg category after a 0-2 defeat to Khasaif Fatma of the United Arab Emirates. The only kata bronze in this group went to Nguyễn Ngọc Trâm in the girls’ pool.